TasteCamp, the roving regional wine event that fully immerses wine writers and bloggers in a wine region is back for its second edition this weekend in the Finger Lakes region of New York. As you might remember, the innaugural TasteCamp was held here on Long Island last year (read all the posts) and it went so well that we decided to do it again in a different New York region. Most smaller and/or lesser-known wine regions in the world would love to get their wines in front new audiences, but it can be a challenge. With TasteCamp, a new audience comes to them. This is not a junket. Attendees pay their own travel expenses — including for their hotel rooms — and meals. Through generous sponsors, some meals have been paid for this year and others will be cheaper than the otherwise would have been. The idea is really catching on. I'm already talking with people from no fewer than four different regions about doing TasteCamp in their backyards (some in the east, some not). 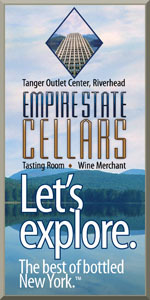 But before we get to TasteCamp 2011 and beyond, let's talk a bit about TasteCamp East 2010: Finger Lakes. I've built a TasteCamp website this year that will house anything and everything related to the event. As you can see, we've got a jam-packed weekend itinerary filled with the best Finger Lakes wineries, wines and people. 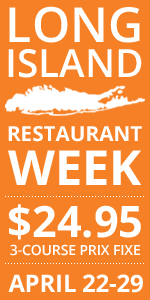 It's excited that we're going to be able to hit all three of the major lakes -- Keuka, Seneca and Cayuga -- during the weekend and enjoying some terrific meals to boot. The Finger Lakes wine community has really embraced the endeavor, so I'd like to thank them for their enthusiasm. Their contributions to the weekend, along with the generous support of Finger Lakes Wine Country and the Finger Lakes Tourism Alliance are sure to result in a great weekend for everyone involved. If you'd like to follow along with the action, keep an eye on the event site, follow the attendees' blogs and if you're on Twitter, use #TasteCamp.